Say hello to what is probably my most favourite and loved make up purchase this year - in fact, I don't think I've ever swooned so much over a palette ever, and that's a big statement coming from a girl with enough eyeshadow to makeover a small country. 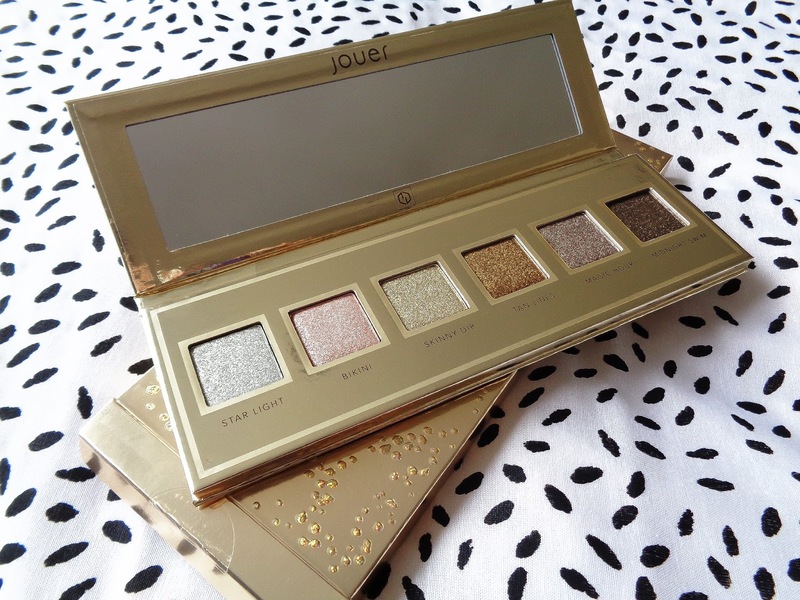 I've never tried Jouer make up, but as you can imagine I now want to try everything, this palette has given me the best first impression. 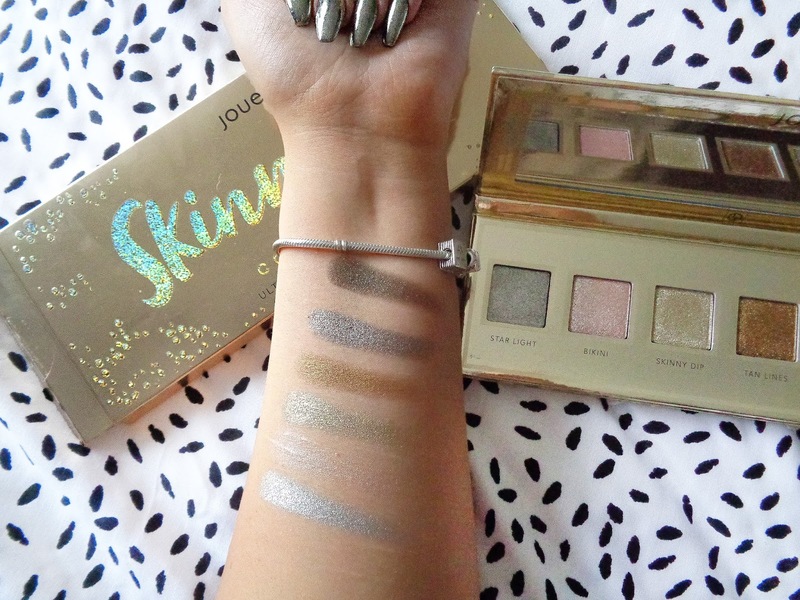 When Jouer announced their 'Skinny Dip' collection, I wasn't really fussed- I took a look on Cult Beauty at the line during my 'I don't even like make up anymore,' phase, that I was stuck in for about four months. (Dark times guys, dark times.) But, then I saw this eye palette being swatched on a bloggers Instagram stories and my mind instantly changed, I needed this palette. It was so good to finally be excited about make up again, and this palette totally refreshed my obsession and got me buying and blogging again, that's how great it looked. Now I'm back to spending my entire pay on make up again, so thanks, but not really thanks, Jouer. The Jouer Skinny Dip Ultra Foil Eyeshadow Palette will set you back £35, the palette houses six shades of 'ultra foiled shimmer shadows.' 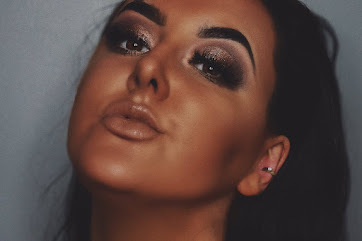 They claim to be easy to blend also, and boast a 'crease resistant consistency.' You can see for yourself, the packaging is absolutely gorgeous- it's enough to make you want to buy it without even knowing if whats inside is any good. The box is gold and has raised holographic text, with some textured detail- the whole thing just looks insanely beautiful and luxurious. I can totally confirm that the shadows live up to their description, I've used them both wet and dry and they always look stunning on my lids. The pigment is on point, and there is no denying that these are ultra shimmery and give you that metallic/foil effect, wet or dry. As you can see from the swatches above, the only shade that didn't perform amazingly was Bikini, I don't know why, but its the only shade that isn't the same formula as the rest. Fortunately for me, I would never use pink on my eyes anyway, so I'm really not bothered. Bikini does build up if you keep packing it onto your lids, but its nothing like its brothers and sisters that are total one swipe wonders. 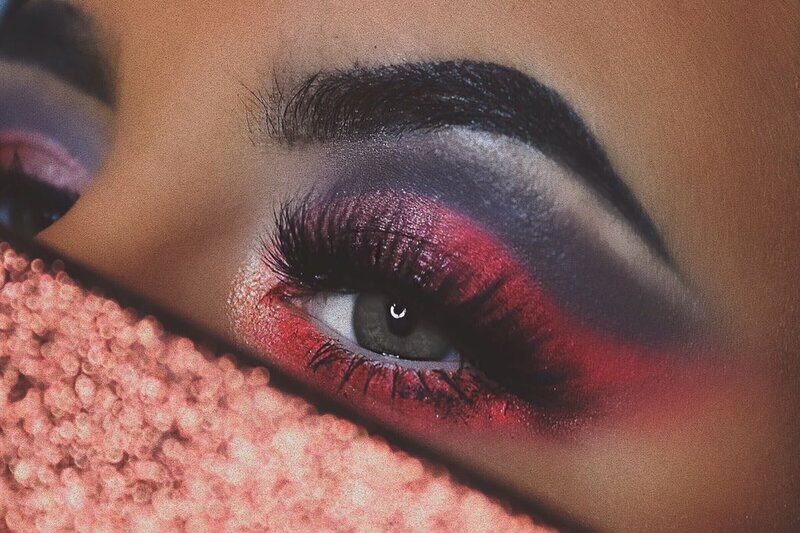 Having hooded eye lids, I know an eyeshadow is great if it doesn't crease- and I can also confirm that the shadows live up to their 'crease proof formula' claims. The shadows aren't like anything I've used before, the formula is incredibly unique. So thick and buttery, but a dream to blend. Over all, I'd give this palette a solid 9.5 out of 10, just because of the Bikini issue. I mean what's not to love? It looks stunning, the shadows are an outstanding formulation and they look drop dead gorgeous on your eyes. You can totally wear these on their own all over your lids, or with darker matte shades to create a dramatic halo or cut crease. Was it worth the price tag? Most definitely. This palette looks so pretty! I need to try more Jouer!